As more and more investors and communities recognize the benefits of establishing angel groups, it’s important to have resources that ensure that they don’t have to recreate the wheel. The Kauffman Foundation and several ACA members have developed tools that will help groups in formation get a quicker and more effective start. The page includes many practical tools for determining the best structure for your group and beginning operations. It should be noted that there is not one “right” structure or methodology for assessing community readiness for an angel network. 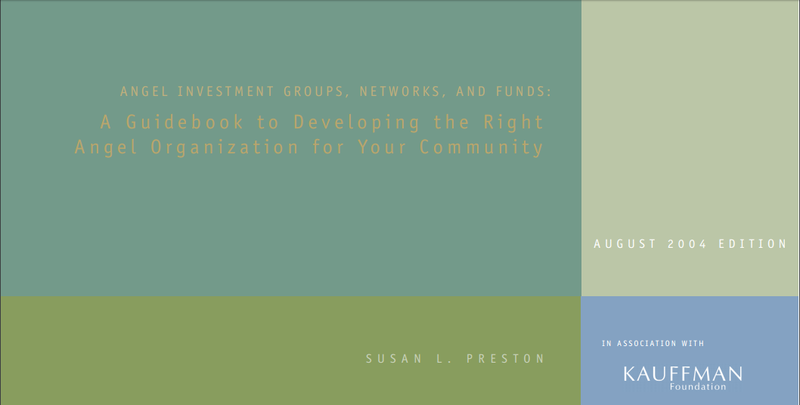 The Guidebook “Angel Investment Groups, Networks, And Funds: A Guidebook to Developing the Right Angel Organization for Your Community” recommends that communities conduct an assessment of their community and its characteristics for angel group development as a first step. It also includes a number of helpful templates, checklists, worksheets and more.